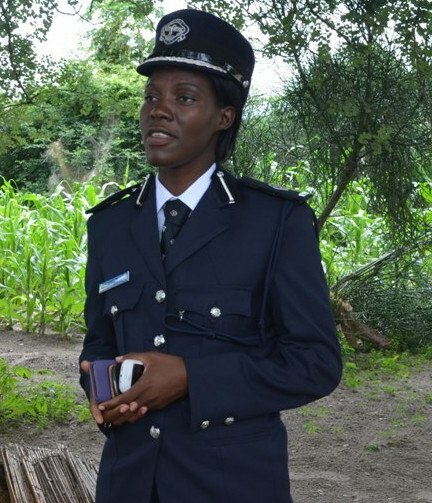 Four people have been arrested and jointly charged with five counts of murder which happened in Lusaka’s George compound between 16th March and 17th April 2016. The four have been identified as Luck Siame, Lewis Chisimba Bwalya, Christopher Kasapoand Elvis Nyanga. The accused include two army soldiers, a Zambia Air force civilian employee and a traditional doctor. All the murders which the accused have been charged with were committed in a similar manner by crushing the left side of the head, removing body parts and later dumping the deceased near their homes or a nearby drinking place. In all the incidences, a stone was found near the deceased’s body. The four are appearing in court this afternoon 10th May 2016. This is according to a statement from Police Spokesperson Charity Munganga Chanda. So are these people rwandies? we new it had to involve ngangas because zambians are too superstitios and want to get rich without working. Body part harvesting is not ritual killing. It is a business for transplants. A healthy kidney for transplant in a wealthy patient costs alot of money. Dont be naive mwebantu! I am really fed up with these greedy, selfish and brutal Bembas. They will do anything including killing people for body parts just to make some money while their relatives have looted the Eurobonds. What a chaotic tribe! It is nauseating. @Nubian, a kidney doesn’t cost alot of money, just $5000. Thats not money to kill a person for, best harvest is to rush to accident scene, or war zone, that is how Red Cross makes money. By any chance you are competing with Nubian Princess for title of the “1MBECILE of 2016”? If found guilty, please cut off their heads. Please, get information on all those involved with them so that the country is free from these types of people. Thumbs up to the Police. I did wrote a post here telling you guys not to point accusing fingers at innocent people because the history of the Lusaka Strangler who happened to be a security personnel (soldier) teaches us something. Superstition is the biggest disease affecting the psycho of Zambians right now. Myths are being propagated to squeeze money from the ignorant and gullible public by both Witchdoctors and Conmen in the guise of being Pastors. Its psychological terrorism and mind subjugation at work. Mainline Christians should do more to CONTINOUSLY educate the public, otherwise it has potential to destabilize society. No wonder Kaunda wanted to introduce scientific socialism. For you Nyanga is from Northern Province?? What if they just bear sir names from the north but are children of intermarriages with people from other provinces? Laziness in our people has caused worship of Satan (traditional medicines) in Zed. All countries like Nigeria, South Africa, Tanzania, have turned away from these satanic practices, but us we are still calling servants of God who are helping these other nationalities all sorts of names to hide our true identity. Watch out for criminals covering up their crimes, promotion seekers, celebrities, sports, business, political, lovers, Police people who obtain their powers from Satan. Well done Police. These thugs will know the full force of the law. They will like captain solo and jack chiti understand that Zambian prisons can be death traps. Even those politicians who sent them will be exposed. When something happens it is the PF this, PF that. When the police makes an arrest then the PF police is quickly and conveniently removed. When there is violence then it the PF police how dumb are some people’s minds? Until we ourselves the citizen can think clearly and intelligently we will keep on voting for people who have no agenda for our great nation. If I am not wrong, he is ardent supporter of Plunderers Federation. !mbecility does not know borders or party differences. It’s too early to give thumbs to the illiterate Zambian Police. Given how inept and uncivilised the ZP is courts are likely to set these chaps free. The Police in Zambia do not even know intelligence gathering which is necessary to secure a conviction. The Police Usually obtain evidence by torture and unproven rumours – so courts have no choice but to release the culprits. The same happened to the case of Ruth Mbandu. The Police arrested some people through rumours but no one has been convicted up to now. ZP is USELESS!! Buck Teeth Lungu – this is directed towards you! The issue at hand has nothing to do with tribe and the idea of suggesting any tribe is behind these despicable actions is not just immature, divisive and meant to bring into disrepute among tribes. I am not Bemba for your record but I know my Bemba brothers and sisters are just as normal as the rest of Zambian people. And please desist associating yourself with any political party, especially the opposition as none stand with your way of thinking! Being criminal is not a preserve a type of people but it could happen to any deranged being! Hilter was one! And the accused are presumed innocent until proven guilty in the Zambia law.., they will have their day!